all measures approximately and thrown into your kitchen aid food processor and blitzed until it’s like crumbs. 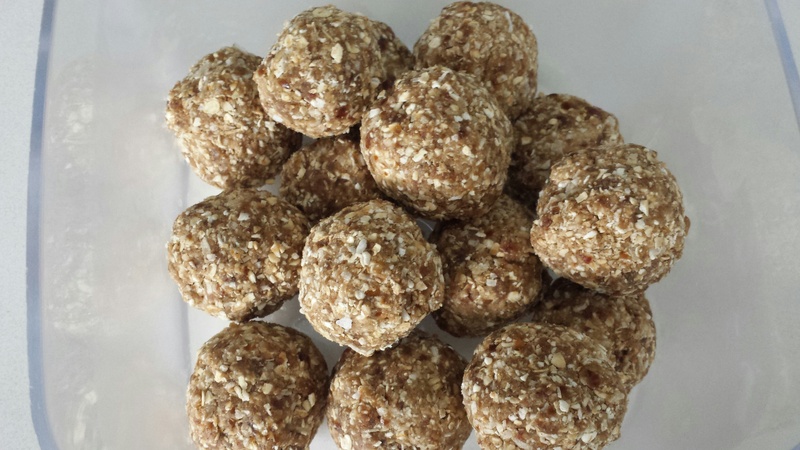 add the coconut water slowly to get a good consistency and then roll into balls and refrigerate. Yummy!! This sounds so delicious and I have near all the ingredients already. I want to know how mixing by hand is ok? I do have a vitamix, will that work? Mixing by hand should be fine but it will be quicker using a vitamix and your final product will be a smoother consistency.